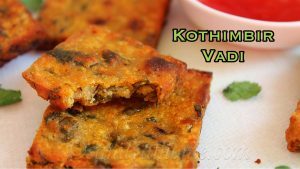 Kothimbir vadi/ Coriander fritters is a savory snack of Maharashtra prepared with fresh cilantro/ coriander leaves and besan/ chickpea flour. 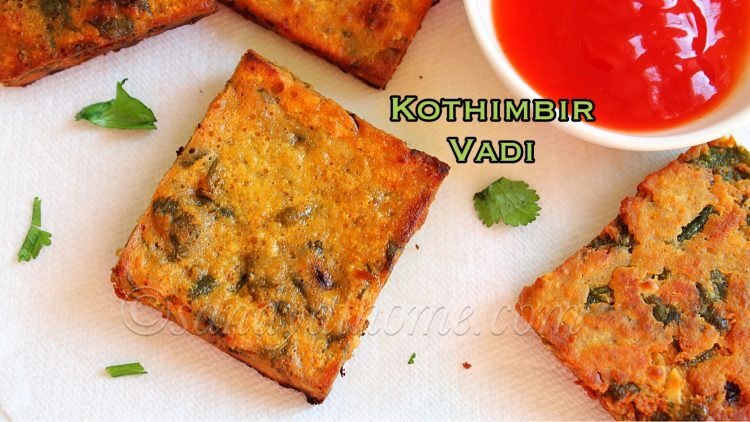 Kothimbir vadi is a crispy and yummy fried fritter usually served along with hot tea/ chai. 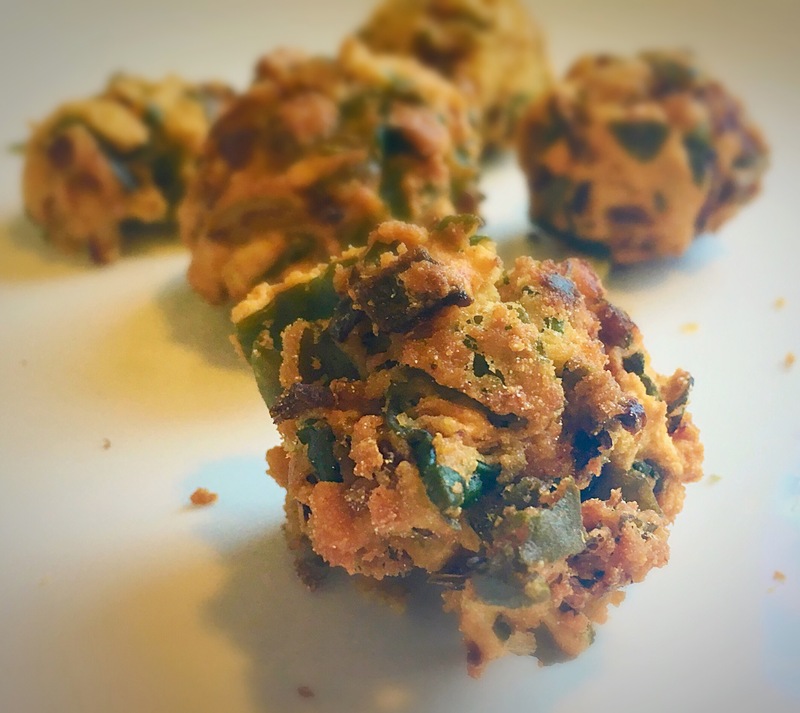 This flavorful snack is prepared with few simple ingredients by steaming the besan cilantro batter then frying it in oil. 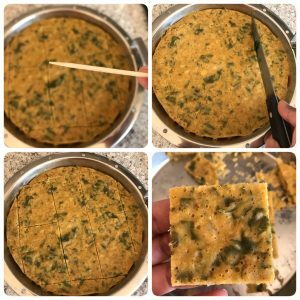 Kothimbir vadi is my hubby’s favorite snack and I prepare it only on days when he is at home or when he comes home early as this needs to be relished hot/ warm to enjoy its taste and flavors. 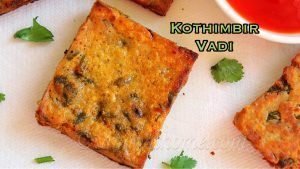 For the below recipe I fried the steamed vadi with very little oil in a pan in order to cut down oil, but you can deep fry it as well. So lets get to the making! 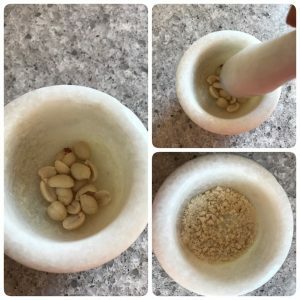 In a bowl add besan, ginger garlic paste, chopped green chilli, red chilli powder, garam masala powder, turmeric powder, salt, cumin seeds, crushed peanuts and sesame seeds. Mix well. 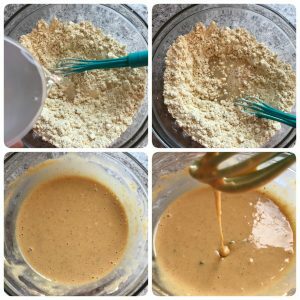 Now add water to form a batter. 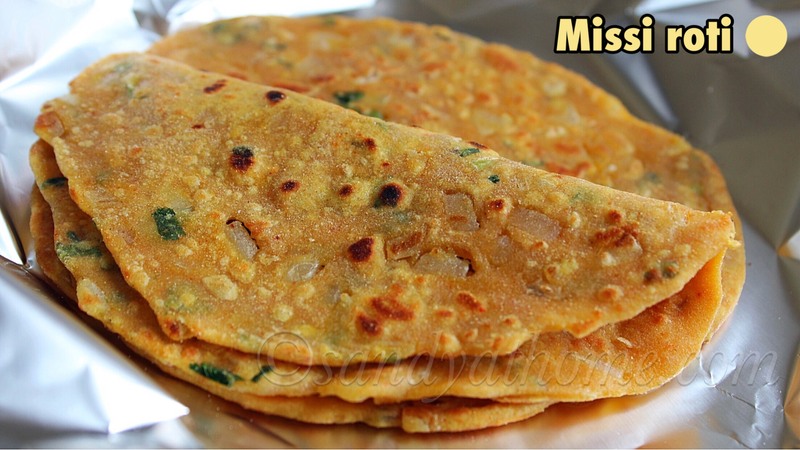 The batter should not be too thin nor too thick in consistency. (I added 3/4 cup water) Make sure the batter does not have lumps. 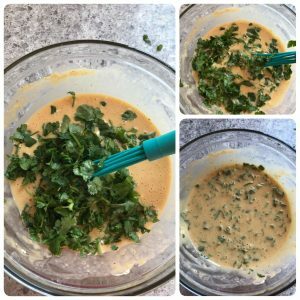 Now add chopped cilantro in the batter and mix well. Heat water in idli steamer. 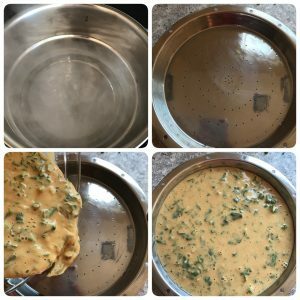 Grease a plate/ bowl with few drops of oil. 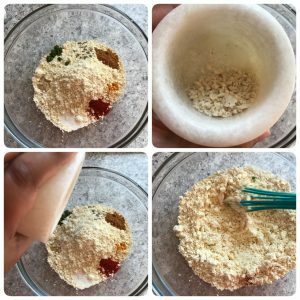 Pour the batter and place it in the idli steamer and steam it for 15 minutes. 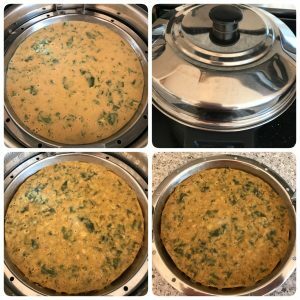 When done remove it from idli steamer and allow it to cool down little. 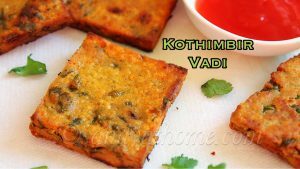 Now insert a toothpick in the center of the steamed vadi, if it comes out clean its fully cooked. Now run a knife and slice the vadi according to desired shapes. 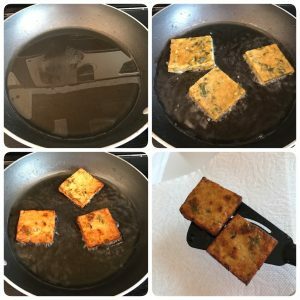 Heat oil in a pan, add sliced kothimbir vadi and fry until golden color or crispy exterior. 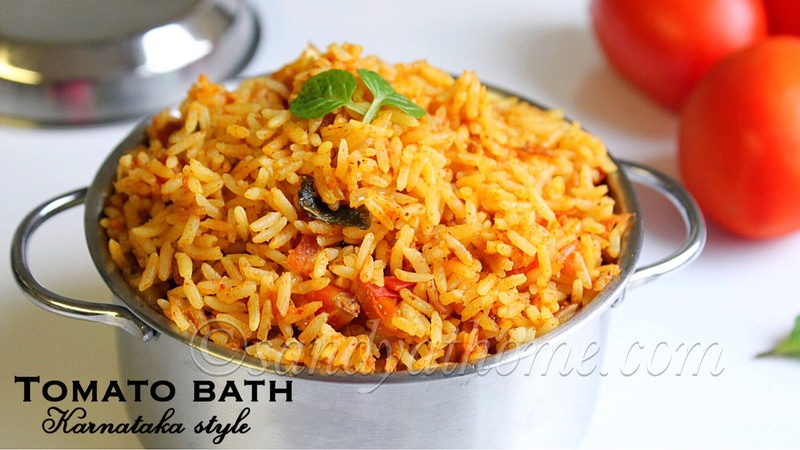 When done transfer it to a plate with paper towel and serve it hot chai/ tea.